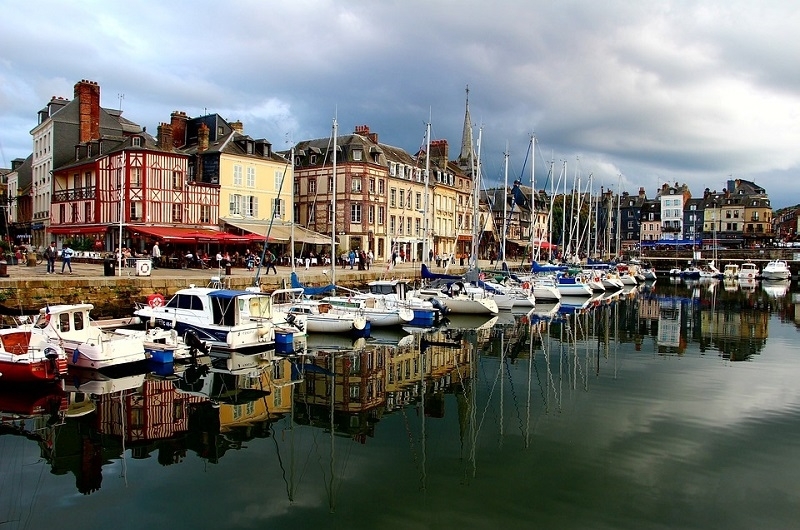 Normandy is one of France’s most famous regions and a perennial favorite of visitors. It’s attracted Americans since WWII, for whom it conjures up images of sacrifice and honor. 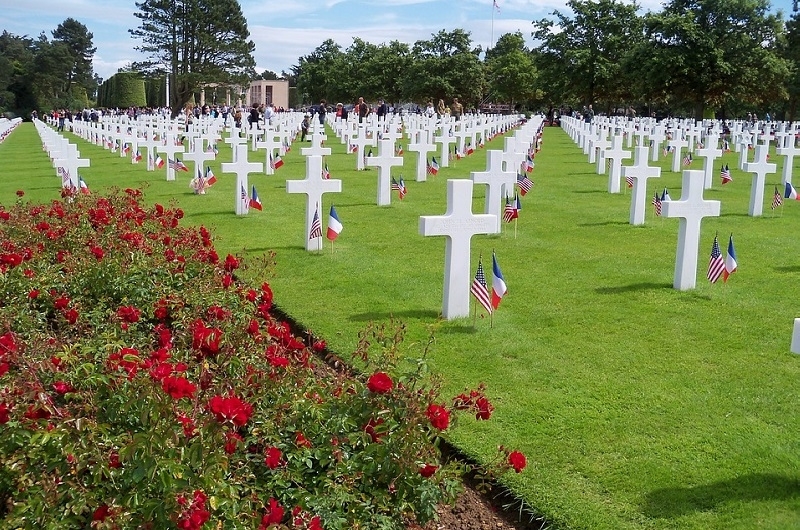 This tour takes you for a full day to the D-Day landing beaches and the cemeteries. You will be based in charming central Bayeux. There’s a lot more to Normandy too. It has a magical coast that inspired the Impressionists. There are wonderful cheeses, ciders, and Calvados apple brandies to sample. Mont-Saint-Michel is a true wonder. It's a town built off the coast and dominated by a medieval abbey. During high tide, the water transforms the place. After checking into your hotel enjoy a free day to explore the town. Pick up at 9 am at your hotel in Bayeux. 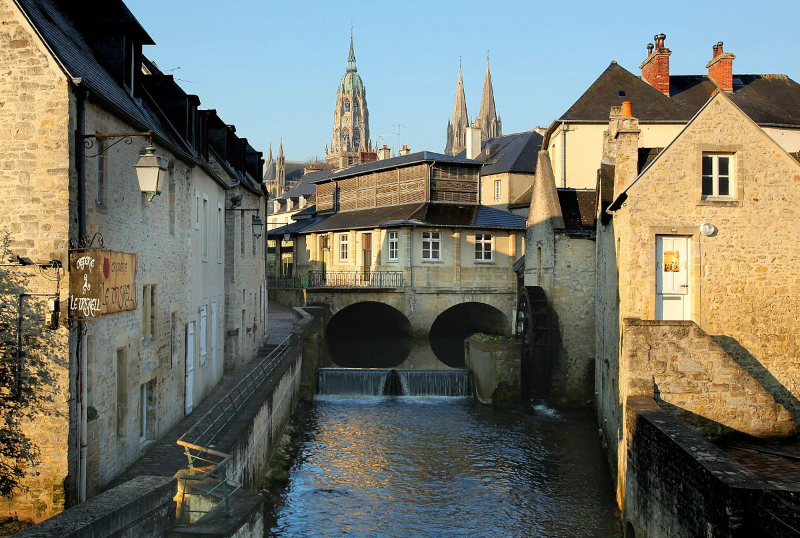 Medieval Bayeux preserves much of its rich architectural heritage. The Bayeux Cathedral is a Romanesque architectural gem. You'll walk past timber-framed houses, townhouses, and mansions. The MAHB (Musée d'Art at d'Histoire Baron Gérard) offers a journey through the history of European art. It is housed in a medieval palace and boasts archaeological and ethnographic pieces, paintings, sculptures, engravings, drawings, and photographs. Local Bayeux porcelain and lace are also on display. Your tour ends at the world-renowned Museum of the Tapestry. The famous Bayeux Tapestry is a 230-foot (70 m) long medieval masterpiece that recounts the story of William, Duke of Normandy. He changed world history and the English-speaking world when he invaded and conquered England in 1066. Museum entrance fees to be paid directly on site. This tour covers a large area and stops at all the major sites in the U.S. sector. Your guide discusses the German Occupation, the French Resistance, and soldiers’ personal war stories. After visiting the German Cemetery, Normandy's largest with over 21,000 buried, you head to Sainte-Mere-Eglise. This farming community was the center of the huge airborne operation (with 15,000 U.S. paratroopers) that began the night before D-Day. The Airborne Museum has gathered an amazing collection of memorabilia, much of it donated by the veterans themselves. Up next is Utah Beach. This landing could have been disastrous, as it was the closest beach to the German line and separated from the other landing sites. Fortunately for the Allied Forces, it was lightly defended. The soldiers of the 4th Infantry Division managed to rapidly cross the flooded area behind the sand dunes to reinforce the paratroopers. While 23,000 soldiers landed here, the division sustained fewer than 200 casualties. Next is Pointe du Hoc. The U.S. Army Ranger Assult Group successful scaled the cliffs to capture this German fortification. This spot will put you right in the D-Day atmosphere. You can contemplate the beach, the cliff, the bunkers, and the bomb craters. Finally, you visit the most famous and most difficult of the five D-Day beaches, Omaha Beach. The troops landing here sustained the highest casualties. When you see this 4-mile (6.5 km) long beach, with its impressive tides and the German fortifications, you’ll be amazed at the extraordinary courage and sacrifice of the soldiers who fought here. Their victory cost the 1st and 29th Infantry Divisions more than 3,800 casualties. The day’s tour ends at the thought-provoking Normandy American Cemetery. It is the final resting place of 9,387 Americans. You'll have time to pay your respects in the cemetery or see the visitor center. Lunch is at your own expenses; museum entrance fees are paid on site. When one imagines Normandy one pictures dairy cows, apple orchards, and half-timbered houses with thatched roofs. This tour explores the Pays d'Auge, to see the traditional Normandy. Be driven through rolling hills and picturesque villages and visit a local artisan producing cheese, cider, and Calvados apple brandy. Your first stop is to the Côte Fleurie coast to the small fishing villages that once attracted the Impressionist painters. Today they have become the well-known beach communities Deauville and Trouville. It’s a place where gorgeous villas overlook the fine sand beach and salty air. They offer horse race tracks, golf courses, casinos, and art galleries. Admire the changing light and natural beauty of the Côte de Grace coast and the mouth of the Seine River. Time seems to have stopped centuries ago in Honfleur. The variety of architecture is astounding. The Sainte-Catherine Church and the ruined fortifications allow you to imagine the Middle Ages. The Renaissance is well represented too, with the 16th century being a particularly prosperous time here. Samuel de Champlain departed from Honfleur’s port to explore the Americas and found Quebec City. More recently it became an artist colony that attracted Claude Monet. Enjoy some free time to explore the town on your own, to indulge in some boutique shopping, browse the art galleries, and enjoy lunch. The afternoon takes you through winding countryside roads past horses, farmhouses, and apple orchards to the picturesque village Beuvron-en-Auge. 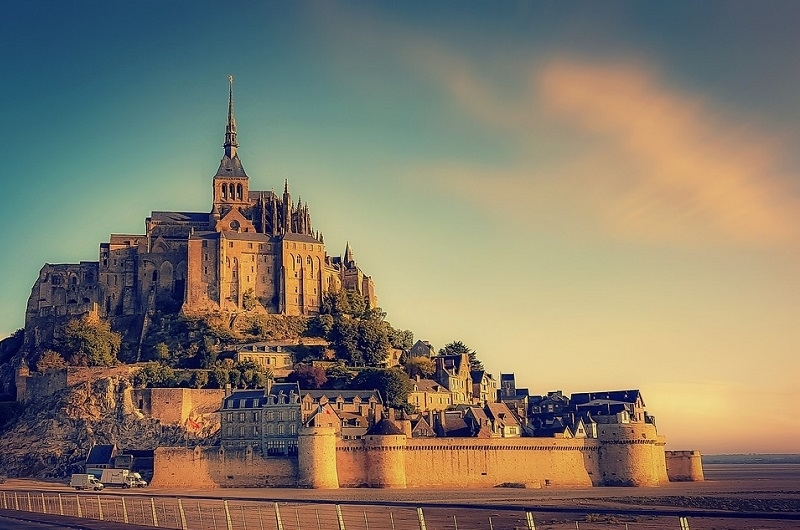 The stunning Mont-Saint-Michel and its bay is one of France's iconic sights. Explore the island and magnificent medieval abbey with a private guide. Wander the narrow, cobblestone streets to admire the architecture. The views of the bay are breathtaking. At low tide, the sand stretches as far as the eye can see and Mont-Saint-Michel is connected to the mainland. High tide is a different story. The water rises dramatically creating an island. Museum entrance fees to be paid on site. Comfortable shoes are recommended. There is a lot of walking and stairs.